The Trilobites Wordsearch can be a fun and maybe challenging activity. There are words that will be unfamiliar. Still children as young as 7 or 8 can be successful with some preparation. At a minimum do a vocabulary lesson before handing out this puzzle. 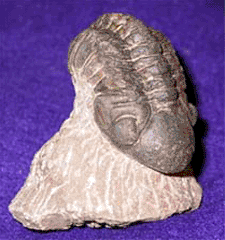 It would be better to add an overview lesson on trilobites and one on the parts of a trilobite. Information for these lessons can be found on the Trilobites Pages. Secondary students could do this as an introductory/exploratory activity, finding the answers themselves. Another option would be to give it as a follow up activity to a lesson on trilobites. All of the words on the word list are defined somewhere on our trilobite pages.